This is a record of the events that occurred in the kingdoms of Judah and Israel during the rule of Assyria, the source of info. Is from the Christian scholar Mr. Bruce Gore, the kingdom of prophet Solomon was split in 911BC and 2 states emerged during the Neo-Assyrian empire Israel and Judah. This map will help the reader keep track of the locations mentioned. Israel: was ruled by king Ahab (874-853 BC) whom married a pagan from Phoenicia named Jezebel. The king was killed by the Syrian king Bin-Haddad as prophesized by Elijah, then his son Ahaziah ruled 853-852 BC) at the time when the prophet Elijah ascends to heaven by the chariot of fire, he ruled for one year then his son Joram rules from (852-841 BC). In 841 BC Ahaziah, Joram and the king of Syria joins forces to face the Assyrian king Shalmaneser III. During the battle Joram is injured and returns to the tent. Ahaziah arrives and while both in the tent Jehu a military leader in Israel comes in the tent and kills both kings, his instructions from prophet Elisha is to kill Joram only, in any case Jehu becomes the ruler and goes back to Israel to kill Jezebel and all her sons. Jehu ends up paying tributes to the Assyrian king and shown in the black obelisk. Jonah 780 BC, Jonah 1:1 the Lord told him to go to Nineveh, so imagine yourself going to the capital of the superpower with its great walls and gardens(as portrayed by the artist depending on their text-below) and its multi - ethnic multi – religions population , whom their goddess Ishtar the goddess of war and you preach peace!!! During the period Jonah starts preaching in Nineveh, we have no records from 3 consecutive Assyrian kings which indicates a weak period others say it is the Jonah effect of preaching. 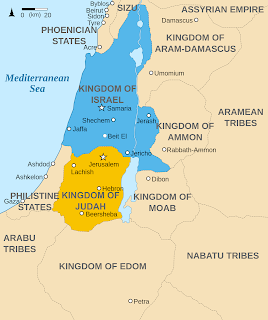 Israel : Jehoash (789 – 782 BC) ruled and was successful in defeating the king of Syria , followed by probably the best king in the old history named Jeroboam II(782 753BC) during his period there was peace and prosperity and the people had a very easy life which prophet Amos warned against. He was followed by Zechariah whom ruled for only 6 months then followed by Menahem (753 – 742 BC). Judah: ruled by the wicked king Ahaz ( 735 – 715 BC ) whom when was asked by the kings of Israel and Syria to join forces against Tiglath- Pileser he declined and instead allied with the Assyrian king and paid tributes without listening to prophet Isaiah whom told his not to worry or sweat it ( Isa. 7) and even asked him for a sign but Ahaz had already made up his mind and was checking on the water supply on case he falls under siege which happened as predicted ( 2 Ki.16) but was saved by the Assyrian king whom resided at the time in Damascus and Ahaz visited him there and liked the alter there and asked the one in Jerusalem which goes all the way back to Mosses days to be replaced with a similar one of the Assyrians. Israel: king Menahem was assassinated by Pekakiah in 742 BC and ruled for 2 years until he was assassinated by Pekah ( 742 – 733 BC), he had good relations with the Syrian king Reizen and both planned a strike to the Assyrians and tried to convince the king of Judah to join them and when he refused they attacked Judah only to find the forces of Tiglath- Pileser Judah's ally whom killed both kings and both Israel and Syria fell. In the reign of Sargon II (722 – 705 BC) had a lot of rebellions on his hand, and the worst could have been by the native Chaldean Merodach Baladan whom seized Babylon in 722 BC (Isa. 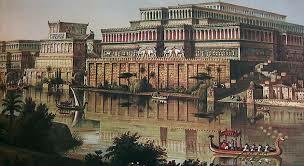 39) till 712 BC so Babylon was out of Assyrian control for 10 years. After retaking Babylon he continued South to the Gulf and retook all the cities there, and as he was heading back north he was cut by the Elamites and Babylonians and a lot of his soldiers died, in his fury he returns back assemble a huge army and destroy Babylon and Elam which is the worst thing since Babylon was also a spiritual city to Assyria, he was hated for that and later killed by his 2 sons, whom later fought a civil war between them. Judah: ruled by Hezekiah (715 – 686 BC) continued to pay tributes to the Assyrians but changed his father's ways by restoring worship and returning the old alter (Isa. 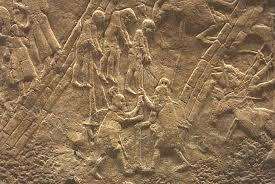 18) he later refused to join the Egyptian's quest to defy the Assyrians (Isa. 20) as he had ideas of his own rebellion but had to finish the water tunnel under Jerusalem to withstand the Assyrians siege, and he finished it in 710 BC the same year Egypt fell to the Assyrians. They took Lebnah next and were ready to enter Jerusalem so they send an emissary whom threatened the king as in (Isa. 37 &38) they did not answer him. But something happened that could not be explained, 187,000 soldiers perished and king Sennacherib heads back home. 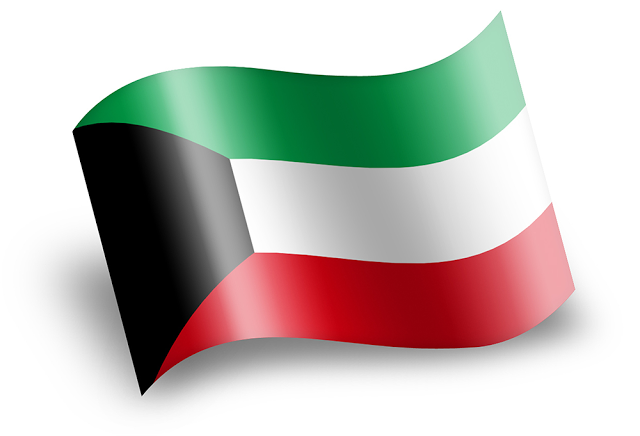 (2 Ki. 18). THE EMPIRE WAS ENDING VERY QUICKLEY TILL NINEVEH FELL TO BABYLON AND THE MEEDS IN 614 BC.